The Yaroslavl Virgin is a Russian icon of the 15th century. 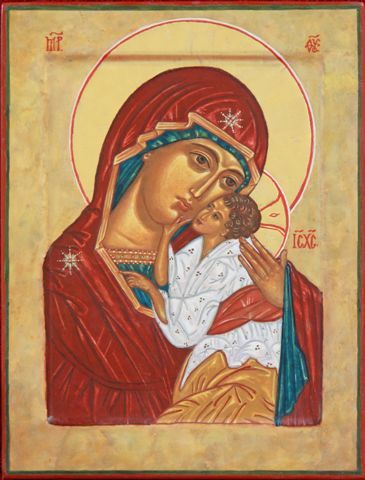 It follows the traditional form for icons of the type known as Our Lady of Tenderness in which the Virgin Mary holds her Child to her cheek in an attitude of embrace. SKU: IK10. Category: Hand painted icons. Please send an enquiry if you wish to negotiate a commissioned work.